The Niche - The Federal Government has directed massive retrenchment and retirements in all paramilitary agencies under the Ministry of Interior. The action is likely to put over 50% of current workforce out of job and worsen the already bloated unemployment market. 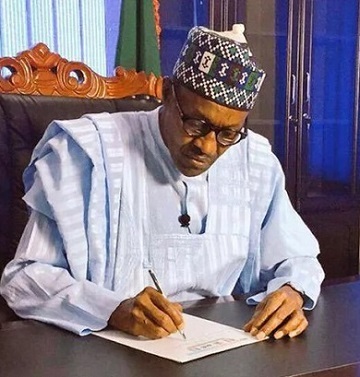 The directive came barely few days the President Muhammadu Buhari’s administration urged commercial banks operating in the country to halt ongoing mass sack of workers. The directive is coming with the approval of Minister of Interior, Gen. Abdulrahman Danbazzau (rtd), through a circular dated May 25, 2016 and addressed to all chiefs of services under the Interior Ministry namely Immigration, Prisons, Fire and Nigeria Security and Civil Defence Corps (NSCDC). President Buhari had hinted during a national broadcast on May 29 of plans to sack a good number of workers in the federal civil service. The president also disclosed that some 43,000 ghost workers had been discovered and weeded out from the civil service, leading to a saving of a whopping N4.2 billion monthly from the federal wage bill. He had hinted that the plan to reduce the job lines in the federal ministries, departments and agencies had begun. Signed by A. A. Ibrahim, Director/Secretary of the Civil Defence, Fire, Immigration and Prisons Services Board (CDFIPB), the various heads of the agencies are by the directive, given a veiled order to commence its implementation after they have notified officers and men in their services. The directive, a competent source at the Interior Ministry hinted, is sequel to earlier decision in December, last year, by the Joint Services Board (JSB), where it was resolved to “expand” the “parameters for retirement of officers and men” in the employment of agencies under the supervision of the board. The Joint Services Board in that resolution, investigation revealed, opted to go beyond the extant civil service provisions with regard to when an officer exits the service to “import other parameters” which, according to our source, are not only irrelevant to the agencies but strange to the various Acts setting up the paramilitary bodies. The civil service for instance provides that an officer retires at 60 years of age or after 35 years of service, whichever comes first. Retirement could also be on grounds of poor health, indolence, declining productivity, on grounds of discipline, when an officer is undeployeable as a result of restructuring, appointment, age, failure at promotion/board test, among other parameters. Rather than adhere to the relevant provisions, the joint services board introduced a maximum age/rank based ceiling to determine exit points of officers and men, in addition to what is provided in the Acts that set them. For instance an Assistant Controller of Prisons must have attained that rank between 34 and 48 years of age, otherwise he would have to retire from the service. Similarly, a Comptroller General of Immigration must have also attained that rank within 50-60 years or exit. For ACGs the ceiling is 42-56 while DCGs is 46-58 years. The import of this is that many officers and men who have stagnated in a position due to “lack of vacancies” because of the new age ceiling, would be forced out of service. But some staff of the agencies who have sighted the directive have raised the alarm on a wholesale importation of military rule and scheme of service into the paramilitary services. They cried hypocrisy on the part of government which recently appealed to banks in the country to stop sustained sack of workers, also blamed on some policies that were not well thought out. They are of the view that the directive is instigated by the minister, a retired general. Accordingly, they insist that a full implementation of the directive cannot work unless an amendment of relevant Acts that set up the agencies are carried out by the National Assembly. “We are paramilitary agencies and our rules are different. Even if what the minister is doing follows due process, is the proposal coming through the appropriate channels which include the Civil Service Commission, Head of Service, Establishment, Amending the Act through a Bill to the NASS etc”, queried a director in the ministry.